Mix the yogurt with mustard, mayo, onions and celery. Hold in the fridge. 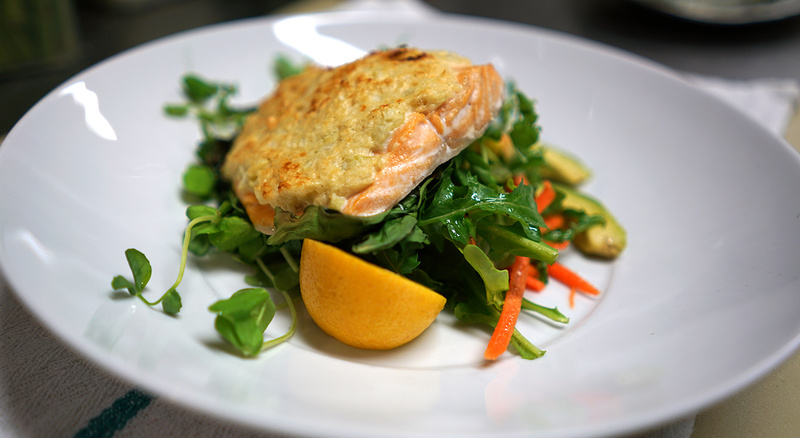 Place the greens on a balking sheet, then place the arctic char on the greens. Mix the panko with the mustard/yogurt sauce and spread 2 tablespoons on each piece of fish. Place baking sheet in the hot oven for 5 minutes. Transfer the baking sheet to a broiler, or switch your oven to broil. Remove the dish as the crust becomes brown. 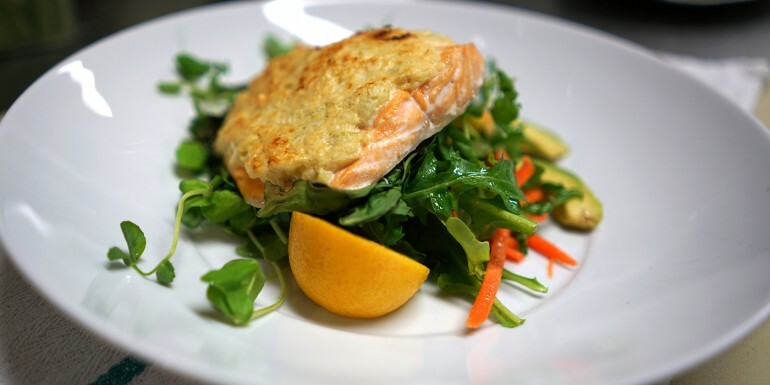 Place each piece of fish on a salad, garnish with lemon and serve immediately.